When Did The Eiffel Tower Open To The Public? 126 Years Ago Today. Home > Logos > When Did The Eiffel Tower Open To The Public? 126 Years Ago Today. 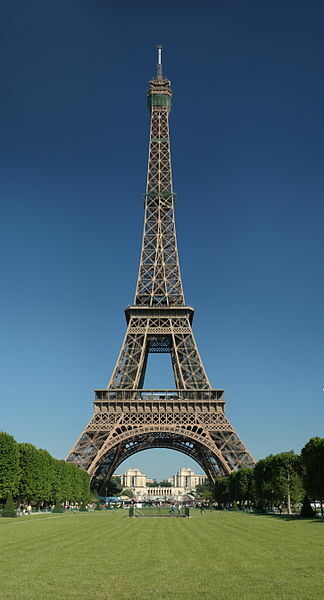 Did you know that 126 years ago today on March 31, 1889, the Eiffel Tower in Paris, France opened to the public? Well, if you didn't know, now everyone does because Google has a special logo, aka Google Doodle, on their home page reminding searchers. It was built in 1889 as the entrance arch to the 1889 World's Fair and was opened to the public on March 31st. The Eiffel Tower is 1,063 feet tall and is the tallest structure in Paris at about the same height as a 81-storey building. It was actually the tallest in the world from 1889 to 1930. Did you know the construction started on January 28, 1887 and was completed on March 15, 1889, which is just over two years.